2 of 4 11 minutes, according to package directions. Drain. 3 of 4 Add milk to pasta pot and heat over medium heat. Sprinkle in American and Cheddar cheeses and the salt and whisk until melted and smooth. 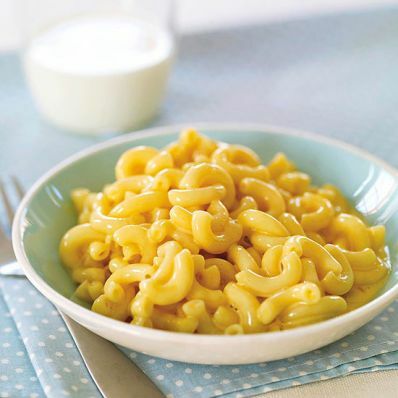 4 of 4 Return macaroni to pot with cheese sauce and stir to combine. Serve warm.